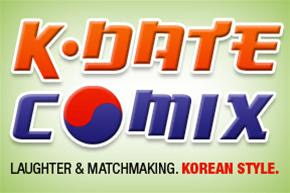 Come on down for a night of Korean-style matchmaking and comedy. In the Korean practice of "booking", nightclub waiters play matchmakers by dragging strangers to different tables for impromptu meet-and-greets. After having a drink together, the paired couple can decide to stick together or go their separate ways. Local comedians will also do attempt hook-ups, adding a running commentary to liven things up.